" Challaborough Bay Holiday Park Nr Bigbury, South Devon Coast Set in a sheltered bay with an award winning beach and stunning views across to historic Burgh Island, the holiday park has great facilities including a leisure complex with heated pool, sauna and gym, kid’s clubs and live family entertainment "
" For Last minute and late availability holidays. Call us today on 0871 641 0191 for details of any current offers! Or book online at www.parkdeanholidays.co.uk Email: enquiries@parkdeanholidays.co.uk Tel: 0871 641 0191 (statics)Tel: 01271 890477 (touring) Fax: 0191 2685986 quoting Beautiful Devon"
Challaborough Bay Holiday Park offers customers a wide selection of superb caravan holiday homes. Details of Accommodation at Challaborough Bay Holiday Park. All our Devon caravan holiday homes come with a gas fire in lounge, gas cooker with oven and grill, bathroom with shower, microwave, fridge/freezer, colour TV, additional sleeping in lounge and free gas, electricity and bed linen. 2 bedroom, sleeps 4-6. 3 bedroom, sleeps 6-8. Holiday cottages- Ocean View Cottage: 3 bedroom, sleeps up to 6. Please contact us for details of short break offers or visit our website www.parkdeanholidays.co.uk . Entertainment for the Kids at Challaborough Bay Holiday Park Kids will love joining in the fun with Maxi, Multi and Milli in their own childrens club, with dancing, competitions, games and much more! With a fun packed programme of daytime and evening entertainment that will keep you amused all week long. 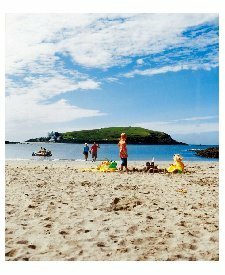 Challaborough Bay Holiday Park enjoys a lovely location on an award winning sandy beach. On this stretch of the South Devon coast, there are plenty of beautiful beaches and secluded coves. The local coastline is stunning and has been designated an Area of Outstanding Natural Beauty for its coastal paths, impressive views, countryside and moreland. 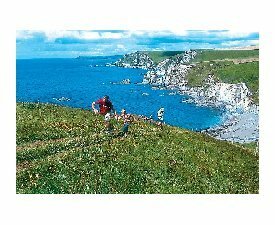 Visitors to the South Hams, Devon’s most southerly region, can enjoy lovely walks and visit the historic towns of Salcombe and Modbury. It’s also just a short drive to the attractions of Plymouth. When you’re not on the beach, you can enjoy the park’s leisure facilities including a great indoor pool with sauna, solarium, and gym or have a snack overlooking the beach in our Regatta Bar. Click on www.parkdeanholidays.co.uk to book online now! "South Devon Holiday Park "
Parkdean Holidays 2nd Floor, One Gosforth Way. Gosforth Business Park. Newcastle upon Tyne. NE12 8ET.